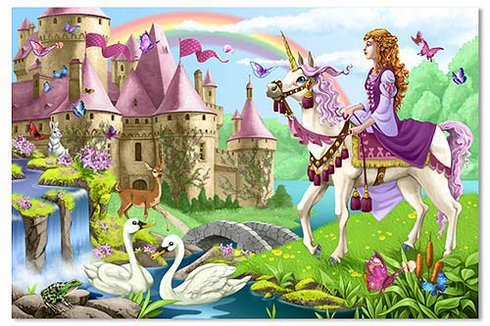 Welcome to this enchanting scene where swans glide in the pond, butterflies flutter around the castle and the princess rides her unicorn. 2' x 3' when complete, it features 48 extra-thick pieces. Its easy-clean surface keeps puzzle looking new.